The right career makes or mars a person’s entire life. Choosing a career correctly is of mammoth importance for a person’s mental peace and prosperity. The decision on what you want to do in life needs a lot of contemplation. When and how early you need to plan a career for the future is of prime importance too. A vague idea of what you want to become slowly starts seeping in when you are in the high school. This idea starts taking a dull pattern when you are in the tenth grade and a final decision takes shape when you are in the higher grades. A proper career needs to be decided upon before you go to university. Subjects have to be chosen for a career base. Choosing the right subjects is necessary. Wrong choice of subjects could end into a lot of frustration and misery. Therefore plenty of self-evaluation and self-assessment need to be done, to make the choice a right one. 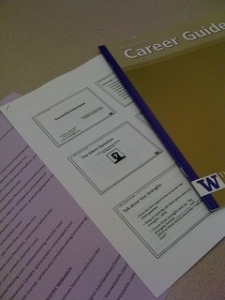 Career guides are easily available, be it on the net or at the guidance centers. In case you are confused, the centers can be approached to get the right inputs on what subject-base each career needs. For example, if a student wishes to take up Bio-technology, as a career, the branches of science subjects that should be chosen can be found from the guidance cells. Before deciding to study a particular course, you must review what your real ambition is. Set a goal, create a vision, and start the mission to tread the chosen path. Preparing the impressive curriculum vitae is the first step to landing the right job. A career once decided upon helps the person move forward. Confusion whether the choice is right or wrong can be quite bothering. To avoid such a condition, it is always best to get expert advice from experienced colleagues, superiors or even get professional help from career counselors. Once that is sorted out and you are on the chosen road of travel, you can sit back and enjoy the job. A word of caution here - do not sit back too long! One has to progress in the chosen career to avoid getting into a rut. For this you have to strengthen your position by updating your skill and upgrading knowledge. Study further if need be, read up on the journals and newsletters related to your career and take on challenges to improve your position. Have talks or discussions with experts in the field including your own boss and colleagues. Sometimes juniors too could be helpful in providing some inputs that can be useful in your work and adding to your knowledge. The earlier choosing and planning the career is done, the better. Once the goal is set you can select the course of your study. The study once done, one can move on to the chosen job or career. You can really be happy and contented in life, if you land up in your dream job you have planned as a career option. Complacency should not set in or you could get stagnant. Education never ends so to enjoy more benefits both monetarily and professionally you must move on. Research well to know how to upgrade your status and if further studies is needed then take up short term courses related to your field of work. You can also take up online courses which most universities provide and you can study without having to disturb your working schedule whenever you find time for it. Moreover the advantage with online learning is that you save up time that is wasted on conveyance. Clear thinking, careful study and objective planning needs to be done when planning a career. > Career in Singing for the Musically Inclined!